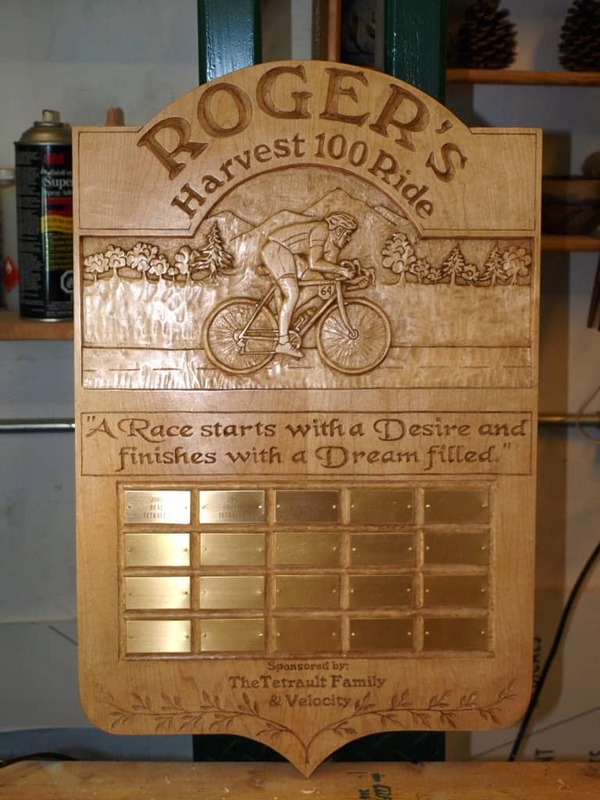 A carving project starts with an idea of the subject to carve or a request from a friend or customer. 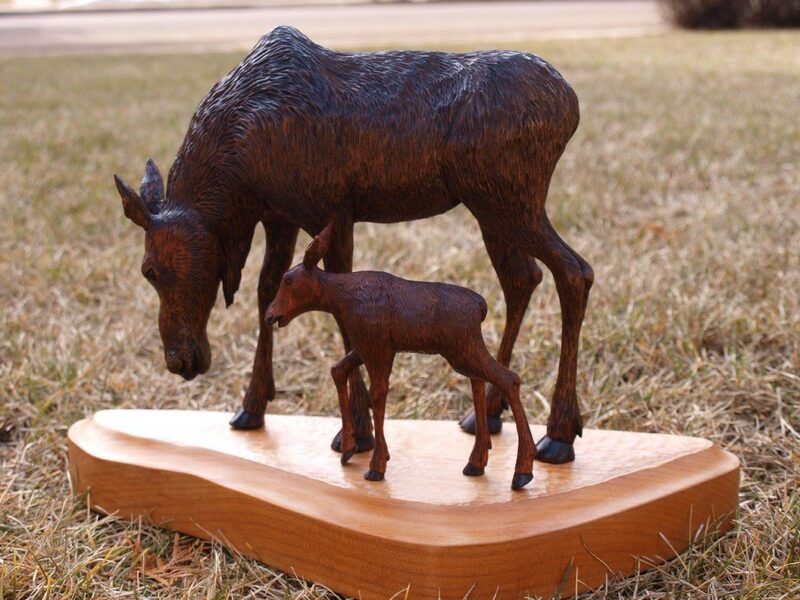 3 years ago I was asked by friends if I could carve a Moose Cow and Calf for them. 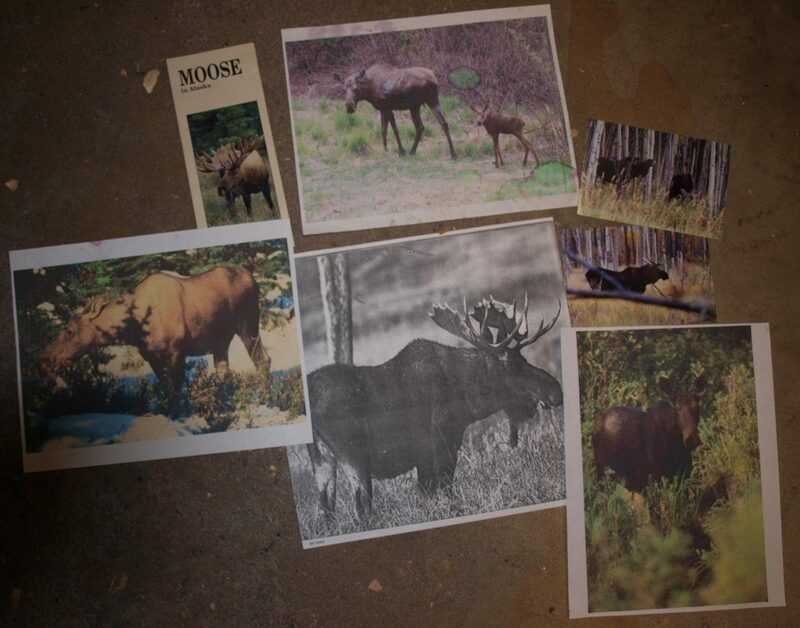 They live on a large piece of land about 100 km west of Edmonton where Moose are regular visitors. One year they had a Moose cow and calf hang around near their house for quite a while which they really enjoyed. 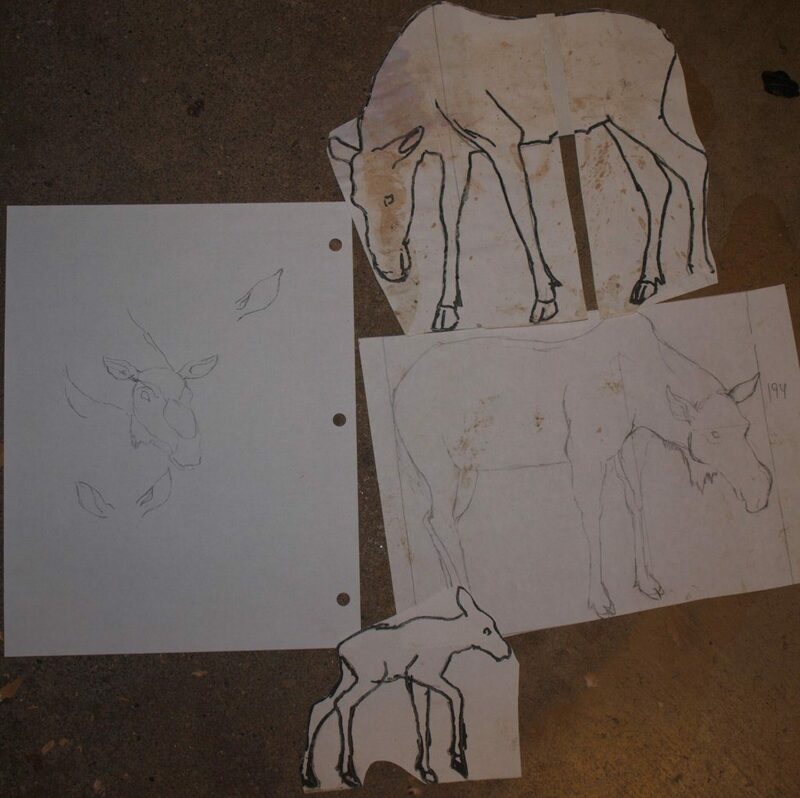 As a first step for this project I went onto the Internet to look for Moose Cow & Calf pictures and reference material. I also looked through my own collection of wildlife calendars and wildlife books. Next I made sketches and drawings of how I wanted the carving to look like. 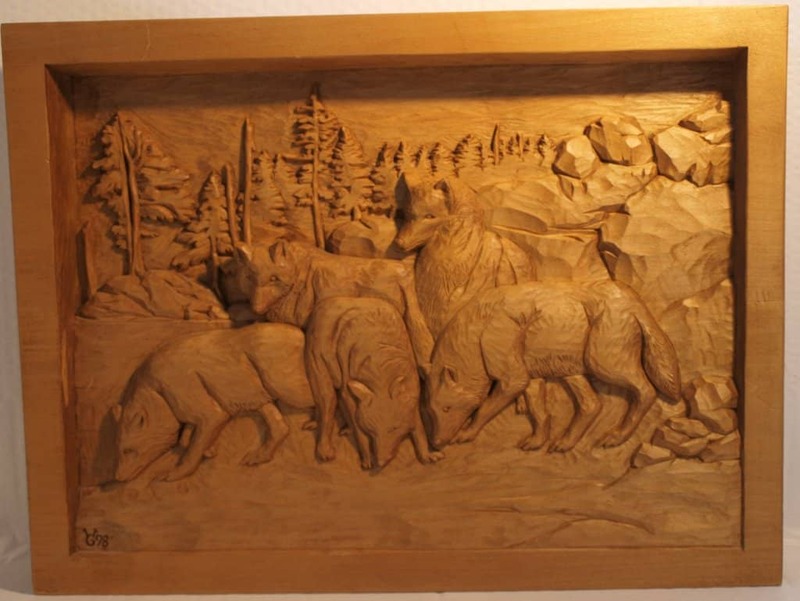 For a 3-dimensional carving it is useful to create a model first before proceeding to the actual carving. 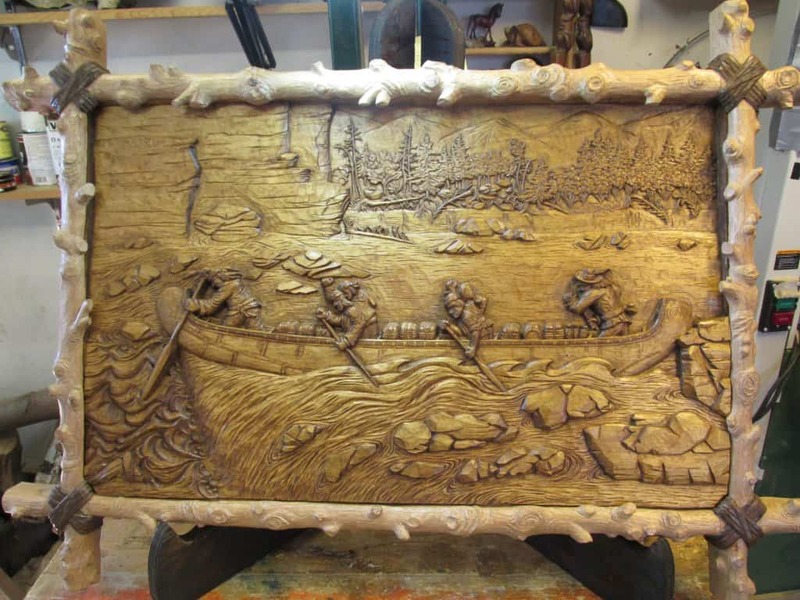 Creating a model in the exact size and shape of the final carving allows to get the shape, dimensions and details of the actual carving very close to what one had imagined. Clay or Plasticine can be used for making the model. First you have to make a skeleton or armature to give strength to your model so it does not collapse or buckle under its own weight. For this I used a very strong, 2 mm thick iron wire. 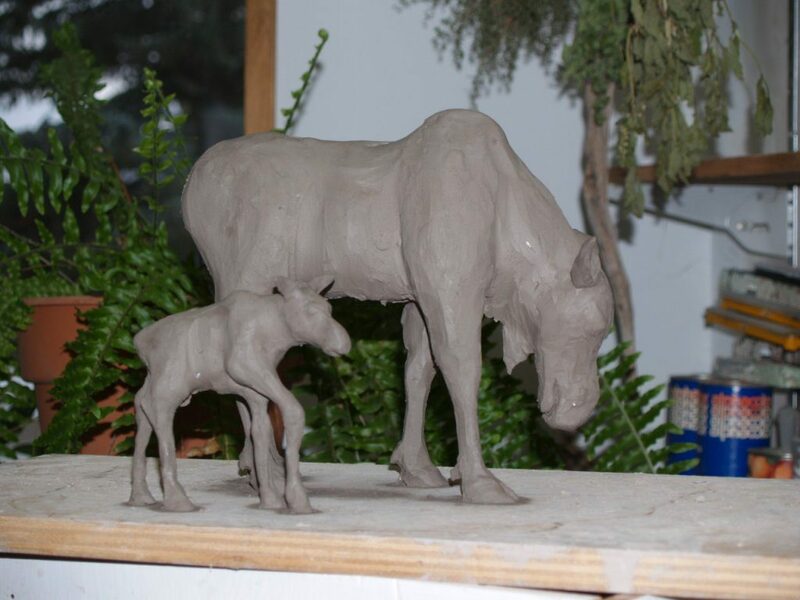 I made a clay model of the Moose Cow and Calf. 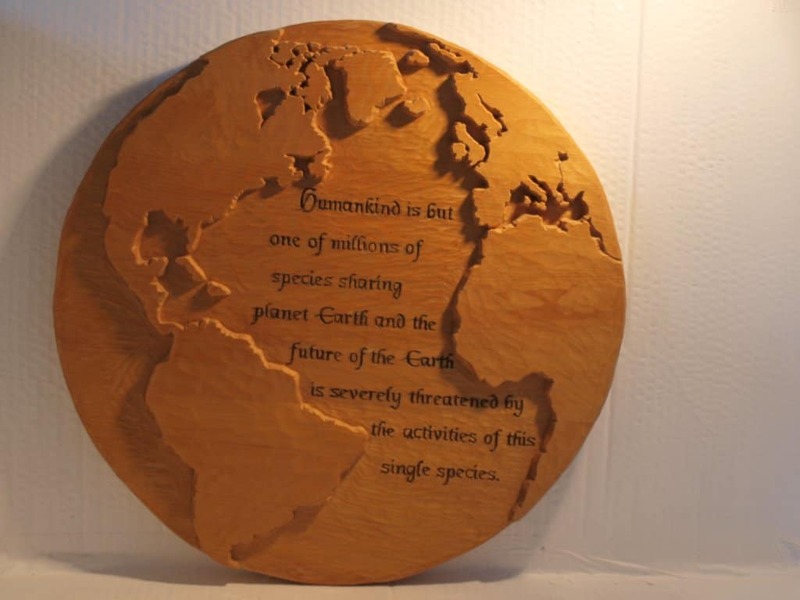 For wood I used Basswood, which is a soft wood that allows for carving even minute details, if required. 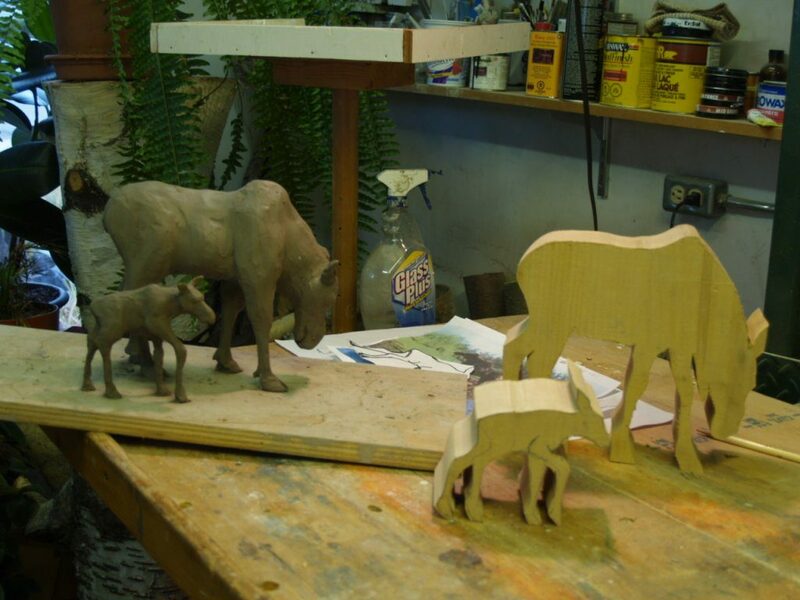 I traced the carving onto a piece of Basswood and used my band saw to cut out the rough shape of the calf and cow. 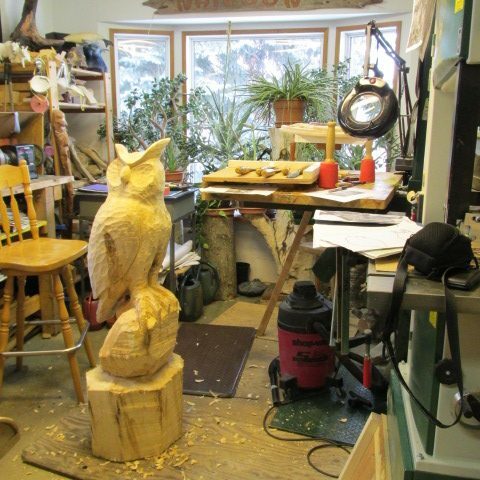 Using chisels and knives, I then started to carve the final shape and the details of the 2 animals. 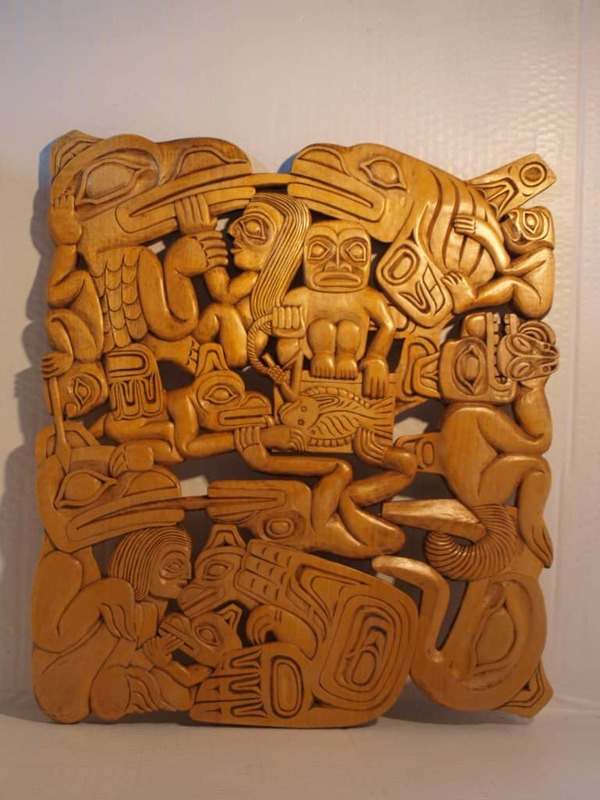 This took quite a bit of time, as one can imagine, especially the long and thin legs were difficult and precarious to carve. 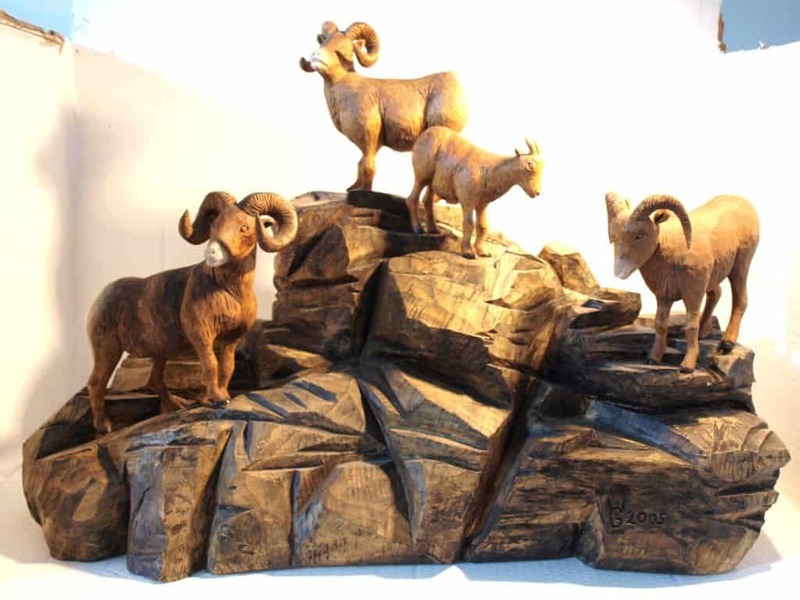 Once I was happy with the final result I added a finish of stain and oil and selected a base on which the 2 animals were to be mounted. For the base I chose a piece of Red Alder. Shown here is the final result which my friends like a lot. It has a special place on the mantle of the fireplace in the living room of their house.